Not Sure How to Hire an Independent Contractor from Canada? When it comes to expanding into another country, there is no “have your cake and eat it too” option for businesses. If you want to operate officially within a new nation, you generally have to create new bank accounts and insurance policies, register with both federal and provincial departments, and more. This process drains your time and resources alike, and that’s before you start making decisions about hiring and other day-to-day concerns. As a result, many organizations choose to avoid the process entirely by hiring independent contractors. These workers carry out a company’s business in another country and receive payment for it, saving the enterprise from the bureaucratic and financial hazards inherent to expansion. This practice also saves businesses money because their independent contractors don’t qualify for benefits such as pension plans or employment insurance. But while independent contractors can ease the growing pains of an expanding business, they present risks of their own, especially in Canada. Organizations such as the Canada Revenue Agency (CRA) employ very precise standards and rules governing the use of independent contractors, and failing to follow them can result in disastrous fines. These tips will tell you everything you need to know if you need to know how to hire an independent contractor from Canada. 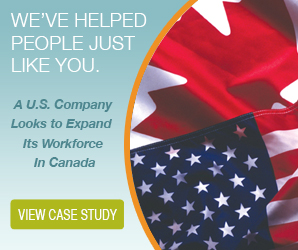 When you hire north of the border, you need to understand what sets an independent contractor apart from a full-time employee. The CRA’s website features some basic definitions, but it’s a trickier issue in practice than in theory. 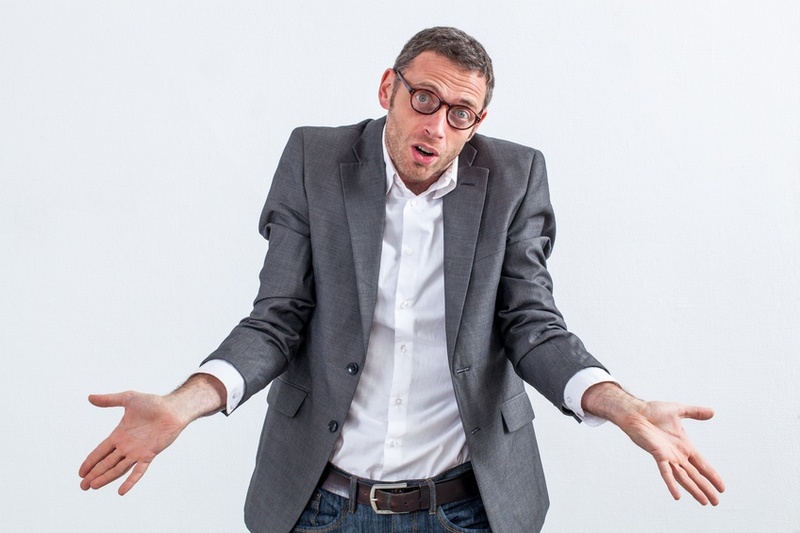 Generally, self-employed contractors don’t require oversight from a company representative. The employer offers them work and they can choose which tasks they would like to complete. Furthermore, independent contractors don’t owe their employers any exclusivity. They can work with any other company during or after their term with an organization. This independence also means that they usually possess the tools and work environment necessary to carry out their assigned work, so employers don’t usually have to furnish them with anything. Independent contractors can also sub-contract their work to other organizations (so long as they foot the bill for it) and hire their own workers. That said, they are also responsible for paying any expenses they incur and holding up their end of the agreement with the employer. Businesses must keep track of these regulations, as well as many others, and know their contradictions and exceptions almost intuitively. While this is a difficult task, it’s also a necessary one. The CRA unsparingly penalizes companies that misclassify their employees, so if you fail to take due care of your workers, you may find yourself on the receiving end of a heavy fine. So how can you follow the rules properly without having to spend the time and resources it would take to actually set up a presence in Canada? Employers of record (EORs) are as close to a best-case scenario as you can get. 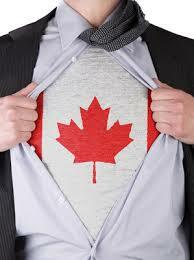 They take on hiring responsibilities in Canada with your approval, saving you from expanding northward. If you work with an EOR, you needn’t worry about providing benefits, filing taxes, or taking on human resources duties, as they tend to handle these tasks for you. Employees are less likely to be misclassified, as these enterprises often include workers who are well versed in Canadian employment and tax regulations. Best of all, EORs are affordable for many companies, so if you’re not sure how to hire an independent contractor from Canada, they will be able to address your concerns without costing you a bundle. Hiring independent contractors can simplify your business operations if you are expanding your US-based business into Canada. There are, however, many things to consider when you are looking to hire an independent contractor from Canada. In order to successfully engage an independent contractor, your company must be aware of Canadian laws and employment regulations to avoid any potential mistakes that could result in costly fines. To help you with your hiring needs, here are some tips for how to hire an independent contractor from Canada while being in compliance with both American and Canadian labour laws and subsequently grow your business! The first rule of thumb is to know exactly what constitutes an independent contractor. This is a crucial step, as misclassifying your staff can have serious legal ramifications potentially leading to heavy fines. The CRA (Canada Revenue Agency), which governs tax laws for Canada, has outlined a four-point test to determine whether or not a worker is an independent contractor. It is well worth the time it takes to ensure that you are correctly classifying your staff when you hire an independent contractor from Canada. The test, developed by the CRA, takes into account who is in control of the work that is being done for your company, who owns the tools that are being used to complete the work, whether the independent contractor is in control of the amount of profits or risk associated with the work, and whether the independent contractor has been integrated into the company. These four points are worth looking at in depth to be sure that your company is not violating any CRA regulation when you hire an independent contractor from Canada. After ensuring that you are classifying your employees correctly and that your independent contractors meet the regulations of the CRA, it is important to ensure that you are in compliance with Canadian—and individual provincial—labour laws. These laws address topics like national holidays, minimum wages (these are provincially mandated), workplace health and safety requirements, hiring and termination procedures, and vacation and sick time. 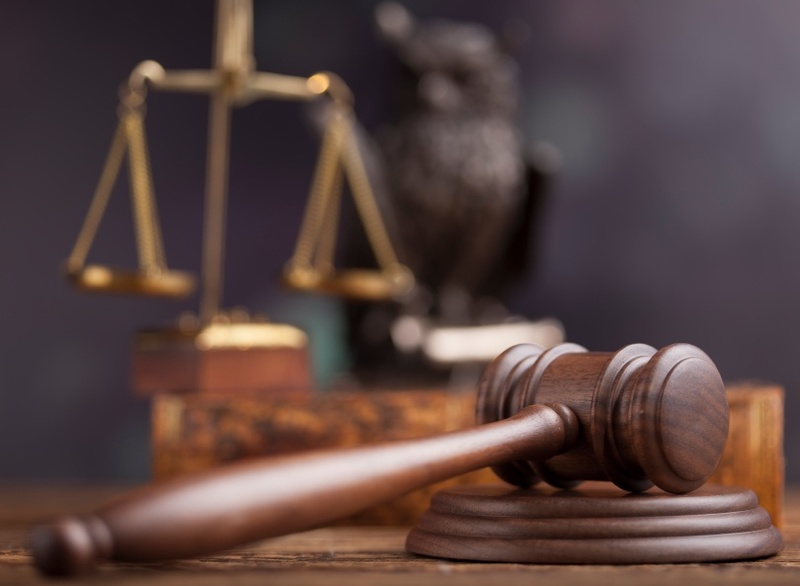 When it comes to the legalities of expanding your business, it is important to become educated on the intricacies of labour laws and regulations so that your business doesn’t find itself on the wrong side of the laws. To avoid missing any important factors when you go to hire an independent contractor from Canada, it can be beneficial to engage a PEO (professional employer organization) to avoid the headache and possible confusion of paying Canadian independent contractors. Hiring a PEO can be hugely beneficial when it comes to balancing American and Canadian payroll policies and laws when you hire an independent contractor from Canada. A PEO will be knowledgeable about the differences between American and Canadian labour laws and will reduce the margin for error in hiring and paying independent contractors. A PEO will be able to completely manage and maintain your payroll process in an accurate and efficient manner as they are familiar with the over 190 regulatory requirements when it comes to processing Canadian payroll. Additionally, a PEO can assist you with organizing your data, allowing your company to focus all of your time and resources on operating and developing your business. Hiring a PEO allows you to expand your business and hire Canadian independent contractors with the confidence that your business is running efficiently while being in compliance with all regulatory legislative bodies. Accurate employee classification is a necessity in business and affects a great deal of taxes, registration and other administrative peripherals that you're responsible for. With recent changes to laws and the growing need for independent contractors, all companies have begun falling under the scrutinizing eye of the Canadian Revenue Agency (CRA), but none more than companies who deal with independent contractors on a regular basis. Why Do They Need to Be Classified at All? Classifying workers falls mainly into two groups – employees and contingent (or independent) workers. Given that they are both types of workers who will work for you in exchange for pay, many companies don't fully understand why they even need to be classified. That comes down to law. Employees, which you can generally assume are non-temporary workers who work at set times and follow direct orders, need to be protected under labour laws and the Employment Standards Act in their province. This affects everything from their rate of pay, overtime, notice of termination, leaves, employment insurance and their minimum wage – not to mention mandatory taxes that need to be deducted from each paycheque. Your business is also responsible for certain taxes and remittances that are related. On the other hand, independent contractors, who you will find generally work for shorter periods and often make their own hours, have less protection – one of the risks of their job. Their contracts need to follow some laws, but many labour laws don't apply to them. They can charge a fee that is agreed upon on an individual level and are allowed to work more than the maximum hours in a week without having to be paid overtime. The dangers of misclassification come down how you're expected to treat your employee, your responsibilities in the eyes of the law, and all the taxes that are associated with them. Why Would Companies Misclassify Their Workers? In most cases, it's a simple mistake that causes this problem. Even though there are set standards for deciding who is an employee and who is an independent contractor, those lines can be blurred and more complex. 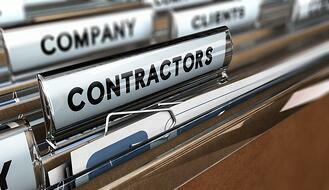 Some contractors work in offices and their contracts can last several years. Some employees are expected to work from home. In that case, it can become confusing for a business to tell the difference and accidents happen on paper, which can lead to major trouble down the road. 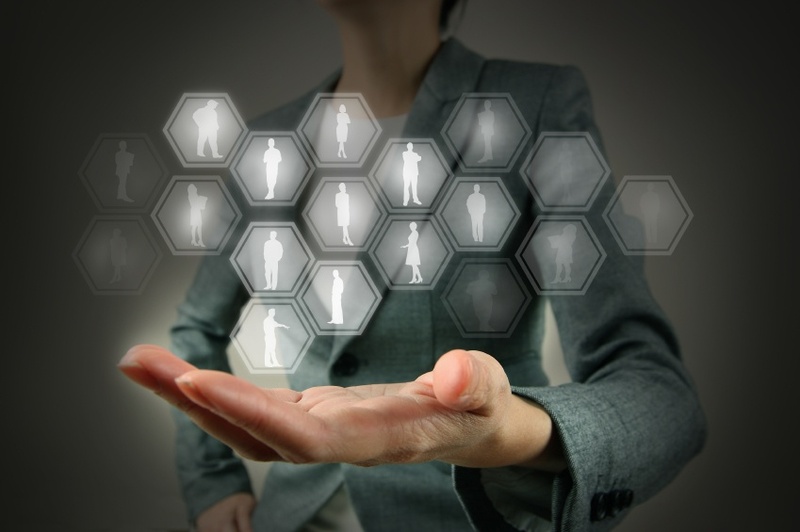 Other companies may be tempted, due to complexities, to misclassify their workers on purpose. A contractor is not owed the same benefits or protection so they are associated with less administrative costs like remittances, vacation and statutory holiday pay. They often don't qualify for EI, so any deductions necessary from their paycheques becomes a great deal simpler than it would with a regular employee. When a worker is misclassified, it creates a great deal of trouble for everyone involved and results in lost tax revenue for the government (which is something they never take too kindly to). Even unintentional misclassification causes problems, resulting in a long series of fines related to everything from incorrect filing to withholding income taxes to failing to register their social insurance number. When it comes to intentional classification issues with independent contractors, you're in a whole new world of fines and penalties. On top of paying back taxes and other owed payments (for employees, for example, overtime and vacation pay would be due), you might see up to a year in prison for these missteps. You could also find yourself in a situation where they find you guilty of deliberately evading taxes, which can lead to five years in prison on top of hefty fines. Don't find yourself in hot water because of paperwork – find out how an EOR can help keep you and your company protected. What's the Difference between Employees and Independent Contractors? As independent contractors become a more common option for businesses of all types, it's important to address questions and concerns that are associated with this relatively new industry. Using contractors offers a great deal of benefit, including cost-savings, better and more efficient time management and smarter allocation of resources, so it's hard to imagine any drawback could apply. For most, however, it's the legalities that are intimidating and all laws (old and new) associated with their hiring, management and termination. Luckily, we can spell out a few of the major differences between traditional employees and independent contractors in a way that should help cut through any concerns. In a typical work environment, your employee is generally provided with the tools they need to do their job. In an office, this might mean a computer, a desk, pens and paper, staplers and more. In a warehouse, this means forklifts, safety equipment and other things necessary. This is fairly straightforward. This also means an employee is generally not given the opportunity or ability to hire an assistant, or delegate their work to another without approval. In this way, you ensure that your employee is well equipped and they can, in turn, get their work done. An independent contractor on the other hand, is usually responsible for all of his or her own tools. They are expected to provide their own laptops, office supplies, tools or anything else that is required of them. A graphic designer on contract might provide their own graphics software, a construction contractor provides their own steel-toed boots. When it comes to delegation, a contractor is usually allowed to subcontract to someone else – this means if they are given a large project and they need the expertise of another person on hand, they can hire them without express approval as long as the job gets done in the end. While there are occasionally exceptions to these rules, as spelled out in various contracts and policies, it's an excellent marker for telling the difference. A regular employee is expected to consistently answer to a manager or supervisor throughout the work or project period, and is generally directed by them as well in order to do their work effectively. They're also generally taught how to do their particular job in a standardized way that is preapproved by their company. That company also sets their rate of pay and how often they're paid, as well as the method and has full control over when they schedule the worker. On the other hand, independent contractors are generally more flexible. Many of them don't stick to a 9 to 5 schedule, instead working on things at times they deem optimal for themselves. When they're hired, they often set out their own rate of pay and generally don't have to ask for permission when working on other contracts during their time with the company. Freelancers also come equipped with certain preferred methods, and tend to use their own to get the work done in the way they see fit to the standards of the business. The biggest difference between independent contractors and employees is the legal difference. Based on the criteria above (and others), the Canadian Revenue Agency expects each worker to be classified correctly when you're filing taxes and any other administrative papers relating to them. When you classify an employee correctly, you're properly contributing to Employment Insurance, the Canadian Pension Plan and income tax as expected. That said, if you are misclassifying your employees and/or contractors, you should expect to see serious fines, penalties and arguably worst of all, poor reputation with the CRA. Ensure your classification is correct and to the right standards before you file – it's better to avoid trouble than to try to deal with it when it comes.